Sacroiliac joint dysfunction describes a diagnosis of hypomobility or hypermobility in the SI joint, usually due to ligamentous problems. Although these seem like completely opposite results, both hypo and hypermobility can be created by changes in the very same connective tissue structures that regulate the laxity and tension of the sacroiliac joint. SI joint dysfunction is often a diagnosis made by exclusion and without definitive evidence of its existence. Worse still, the diagnosis is made subjectively and is certainly the most misdiagnosed of all SI joint concerns. Fortunately, the condition is rarely treated surgically, although it can be in some instances. This resource section explores the diagnosis of SIJ dysfunction. We will define the various forms of the condition and their causative mechanisms. We will also provide details on why the condition is frequently mistakenly diagnosed by doctors, chiropractors and therapists. SIJ dysfunction describes a category of pain syndromes wherein the sacroiliac structure demonstrates atypical degrees of motion that become symptomatic complaints. There are 2 primary types of dysfunction that can be expressed, including excessive motion of the SIJ and restricted motion of the sacroiliac joint. Each of these main variants of dysfunction can be further broken down into a diversity of causative processes and degrees of symptomology. 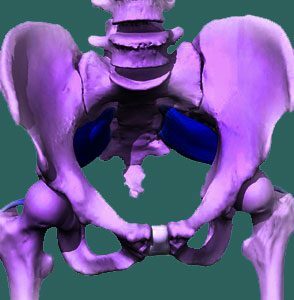 The SIJ was long-thought to be a natural fusion between the pelvic ilium and the sacrum. However, with the advancement of modern medical science, we now know that some degree of movement and flexibility is normal within the joint. We also know that the degree of normal motion of the SIJ is governed by several factors and this range of motion changes regularly in response to various life circumstances such as menstruation, pregnancy and injury. 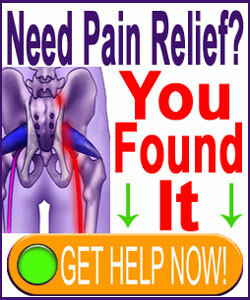 The ligaments which compose the sacroiliac joint are the usual sources of dysfunction. However, some cases can be motivated by attaching muscular tissues that are suffering from injury or imbalances and literally pulling abnormally on one or more components of the joint. Since these causative mechanisms are very different, it is vital to understand which is responsible for each patient’s pain, because treatment efficacy is completely dependent on identifying this mechanism of action and resolving it using appropriate therapeutic interventions. Sacroiliac joint tightness is also called a hypomobile sacroiliac joint, a rigid sacroiliac joint, a fused sacroiliac joint or a fixed SI joint. This condition describes a lack of normal degrees of movement and flexibility in the sacroiliac. Meanwhile, sacroiliac joint laxity is also called a hypermobile sacroiliac joint, an unstable SI joint or SI instability. This condition is characterized by varying degrees of excessive motion within the joint components. Of all the sacroiliac joint diagnoses, dysfunction based on soft tissue pathology is the most subjective. In almost all cases, there is a distinct lack of structural evidence demonstrating any form of anatomical irregularity or deficiency. Even MRI testing most commonly depicts a completely normal-looking joint. SI joint dysfunction is often a revision diagnosis, replacing some other verdict which did not respond to seemingly indicated care. For some patients, sacroiliac dysfunction might be the latest of many different diagnostic theories used to explain their pain. We see this often, especially in chiropractic patients who have changed doctors several times. Diagnosis of SIJ dysfunction is made using a series of steps that might include various forms of provocative and nonprovocative movements and manipulations of the joint to check the level of flexibility or pain response. None of these practices are considered to provide conclusive evidence of any type of pathology, although certain characteristics are known to be seen in patients who demonstrate SI joint pain problems. However, many other regional pain issues also influence the tests and can reduce flexibility in the SI joint or suffer pain provocation from mobilization of the joint, further reducing the accuracy of these diagnostic techniques. Finally, anesthetic injection-based diagnosis is thought to be the gold standard when it comes to identifying SI joint dysfunction. However, we find this practice to be extremely inaccurate, since it can affect many other regional pain-producing issues. The result is usually misdiagnosis. Due to all of these diagnostic woes, we must recommend that all patients seek at least 2 diagnostic opinions, although 3 are better. Be sure to consult with different types of care providers for the most objective view of the condition and do not allow the current diagnostician to review the past diagnostician’s verdicts until after they present their theory on the cause of pain. Our Cure Back Pain Forever Program can help to prevent, manage and cure sacroiliac joint dysfunction symptoms. The program has earned many accolades from notable doctors and healthcare organizations worldwide.